Sudanese protesters take part in an anti-government demonstration in Khartoum, Feb. 7, 2019. "What do the U.S. government and governments of the Troika [U.S., Britain and Norway] and Canada need as more proof of the government of Sudan's departure from its commitment toward the improvement of its human rights record?" Baldo asked. At least 45 people have died during the protests, according to Amnesty International. The government said that number is closer to 30. Baldo said normalization of relations with Sudan should "only occur as part of a path that strengthens a transition to democracy." Sudan's prime minister, Moataz Moussa, told Reuters this week that demands for better living conditions are "legitimate" and that his government is trying to turn the country's deteriorating economy around. An overhaul of the economy, however, will take more than verbal promises, according to Baldo, who blames the economic issues on longstanding mismanagement, including "curbing the huge percentage of the national budget that goes to the security and defense sector [and] fighting corruption credibly by having an independent anticorruption that has prosecutorial powers." 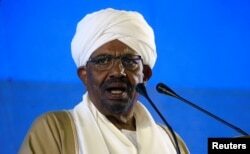 "Sudan has to take a lot of measures to show seriousness about really addressing the collapse of the economy," he said.